Join the Texas Parks and Wildife Department for an afternoon of activities to commemorate the 100 year anniversary of the first train going through Old Tunnel, 10619 old San Antonio Road. Activities will include kid crafts, a storybook trail for kids, historical railroad information booth and face painting. They will also have interpreters from Lyndon B. Johnson, Enchanted Rock, Blanco and Guadalupe River State Parks on hand to give demonstrations and information about their parks. 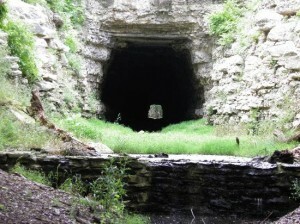 The event will culminate with a talk at 5 pm that will cover the railroad/tunnel history. This talk will be given by a member of the Boerne Historical Society. After the event, you can stay for the evening bat emergence. For more information call 866-978-2287.